An episode of the award-winning comedy drama series INSIDE No9 was shot recently using four of GA TVs classic 1980s era Ikegami HK 323 tube colour cameras. 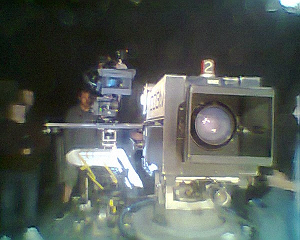 The entire show was taped 'live' successfully using the multi-camera technique and directed from the gallery. Only GA-TV could have undertaken such a commission, this due to our proven electronics skills and extensive stock of usable cameras. 'Richard III' at the London Trafalgar Studios and 'Manon Lescaut' at The Royal Opera House, Covent Garden. Golden Age TV is supplying currently, period video cameras and pedestals for drama and opera productions at these two prestige London theatres. Pictured is the custom engineered Triax based CCD implant system for operational use with an Ikegami HL79E period camera. GA-TV supplied TV cameras and audio recording studio equipment for the ITV drama 'Cilla' (starring Sheridan Smith) filmed in Liverpool. 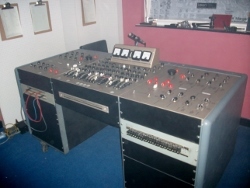 Pictured is the Golden Age TV copy of the famous 'Beatles' REDD 37 mixing desk for use on the 'Abbey Road' set. This was custom made for the production and features twitching VU meters and graphics faithful to the originals. The surviving two 'real' REDD 37s are worth a small fortune! Golden Age TV also arranged for an EMI BTR2 reel-to-reel tape recorder for use on the 'Abbey Road' set. H.M. Queen opened the BBC's New Broadcasting House in London. On display for Her Majesty was a 'Coronation' Marconi Mk II camera supplied and installed by GA TV. 'THE QUIET ONES'. A HAMMER HORROR movie (set in the 1970s), released in April 2014. 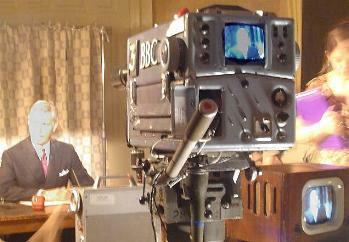 GA-TV supplied a 16mm movie camera and editing equipment plus on-set assistance. 'TELEVISION INNOVATIONS-50 Technological Developments'by Dicky Howett. (NOW UPDATED) This unique and concise pictorial account of television technology was described by one reviewer as 'un-put-downable' and 'informative, honest,amusing, highly recommended'. With 136 illustrations, some especially sourced, this carefully researched-limited print run, 128 page book- charts many innovative tv technological advances including the Iconoscope, Image Orthicon, Vidicon and Plumbicon tubes and the CCD. Also featured are pedestals and camera cranes, video tape, lenses, lighting and video recording evolutions plus much more. Famous manufacturers highlighted include EMI, RCA, Vinten, Marconi, Taylor-Hobson and Philips - Further details from Kelly Publications 01884 256170. www.kellybooks.co.uk. Copies 14.95 UKP post free (in the UK). KINDLE version now available at 4.74UKP in an updated version. My, how tv technology races and Tv Centre closes! 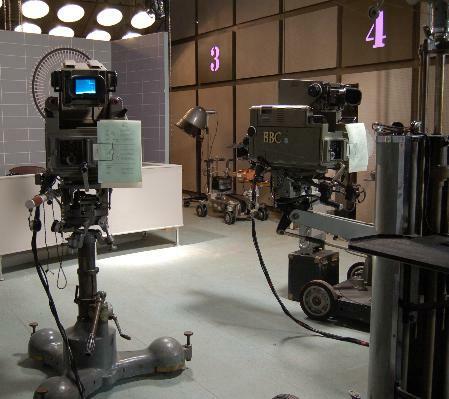 A select amount of GA TV's classic tv camera and studio collection was seen posing behind the 'stars' in a RADIO TIMES 'Golden Age Of Television feature, (published in RT at the beginning of May.) The 'stars' were all BAFTA nominees. Dr Who- An Adventure In Space And Time. 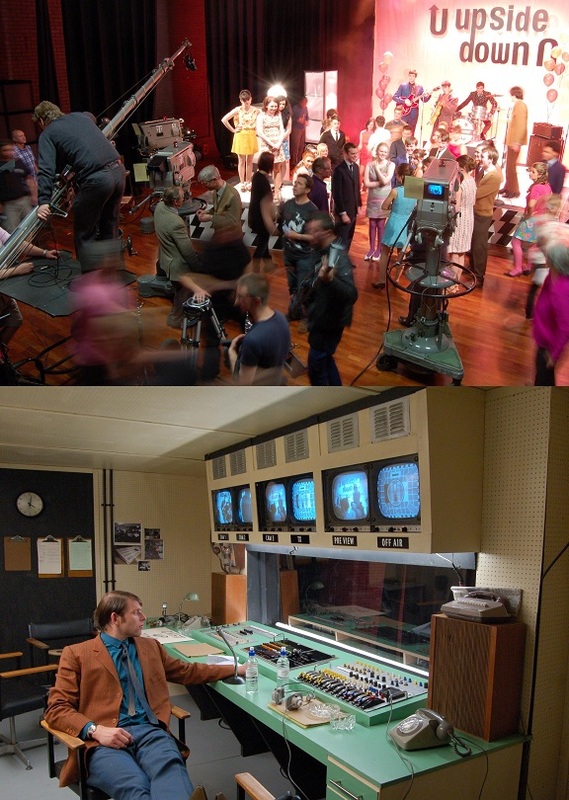 GA-TV supplied all the 1960s vintage tv studio and gallery equipment for a movie-length drama from the BBC, about the early days of the Dr Who tv programme. Pictured is the gallery. Series 2 of 'The Hour', the BBC 2 drama set in the newsworld of BBC Lime Grove circa 1957. Again, using some of G A-TV's unique collection of 1950s Marconi tv camera equipment plus vintage mics, lights, pedestals and newsfilm cameras. The golden age of television recreated only from Golden Age Television. 'Holy Flying Circus' for BBC4. Golden Age TV supplied two EMI 2001s and working Barco monitors for this examination of censorship. 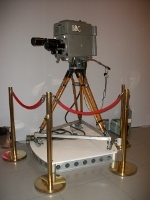 The picture shows an EMI 2001 on its pedestal physically coupled to the production camera dolly 'following' it around. Inspector George Gently, BBC Episode 1, Series 4, 'Gently Upside Down'. 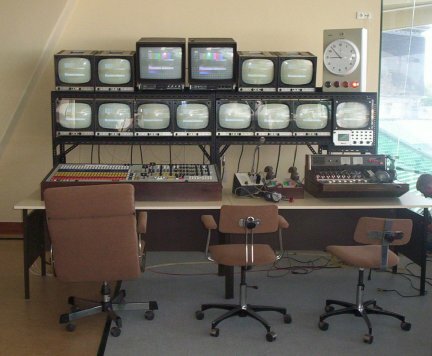 Golden Age TV provided three Marconi MkIVs, a microphone boom, floor monitors, an operational TV production gallery and many other small period specific TV props. BBC4's series 'The Curse Of Comedy' kicked off with 'The Curse Of Steptoe': 'Harold' played by Jason Isaacs & EMI 203 tv cameras and other vintage studio equipment by Golden Age TV. 2008 RTS award for Production Design which, "convincingly transported the audience back to the behind-the-scenes television world of 40 years ago." New productions include 'Hancock & Joan', a drama for BBCTV set in the mid-1960s with Ken Stott as 'the lad 'imself'. 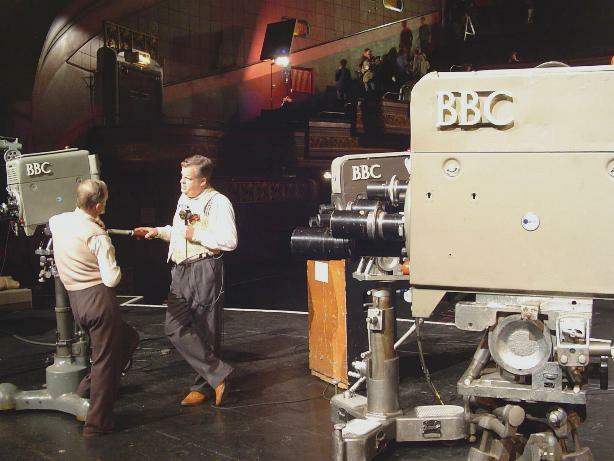 Picture shows studio technicians and a dressed 'working' Pye Mk3 camera with a Mole mic boom. Golden Age Television supports the 'TV70' event at the Alexandra Palace in London to celebrate 70 years of the BBC's electronic television service opened at 3 pm on Nov 2nd 1936. Three operational Image Orthicon cameras and support equipment run from 'Unit 3' enabled the making of a commemorative programme. Golden Age Television Re-creations provided a large quantity of period tv and film equipment, including many tv monitors and 1970s colour receivers for the Steven Spielberg Oscar nominated movie 'MUNICH' premiered in Dec 2005. Available on DVD.